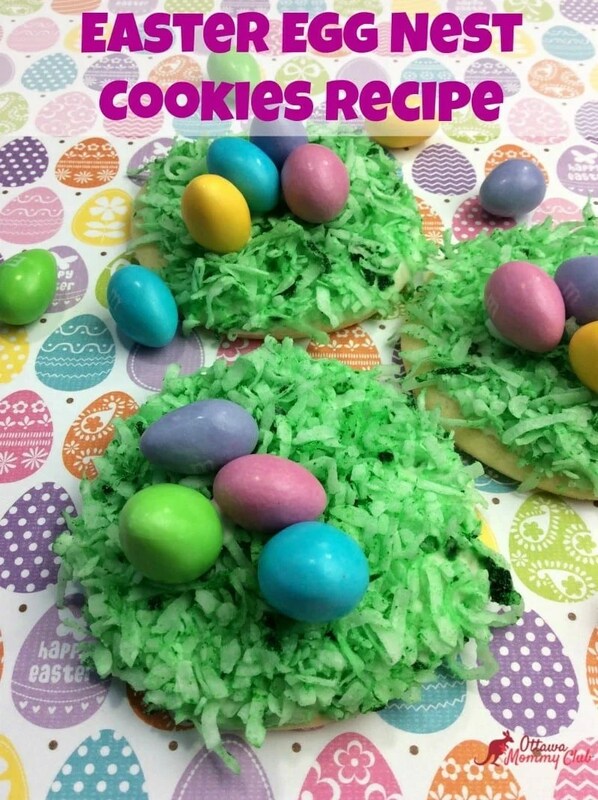 This Easter Egg Nest Cookies recipe will become a family favourite! Not only is it tasty, it’s also adorable to prepare and they make a great centrepiece to decorate your Easter table for snacks or desserts. Cream the soft butter with the sugar until the combination is smooth and not grainy to the touch in a mixing bowl. Add eggs and continue to mix. combine all ingredients except the colours into a standing mixing bowl. I hope you enjoyed my Easter Egg Nest Cookies Recipe! If you make it, make sure to share with us on Facebook or Twitter! Also, check out all of our other Recipes. These are a blast from the past. My grandmother used to make something similar. Thanks for sharing! Can’t wait to try these with my kids. Always look forward to finding new recipes for the holidays and this is a really cute cookie. These are so cute and they look delicious too. Sweet and adorable, perfect for easter! These are so cute! My girls and I will definitely be making these for Easter this year. I know that my young niece and nephew would love these; I will see if I can make these with them next weekend! A perfect Easter cookie. I love the eggs on top. These look really good and so perfect for Easter.Thanks so much for the recipe. I bet my grandchildren would love these. They are so colorful and look so good. Thanks for sharing. I can’t believe how cool your cookies are. They are so creative especially the coconut grass. Such a cute idea will be saving for the season!